Welcome to another edition of Penguin of The Week! This week we are awarding the user TwaseenCPO this prestious award, congratulations! TwaseenCPO is an active user both online and in-game. He is always helping out other users and is always helping out the moderators with reports. He can be found wearing similar outfits as other penguins for fun and playing games with friends. 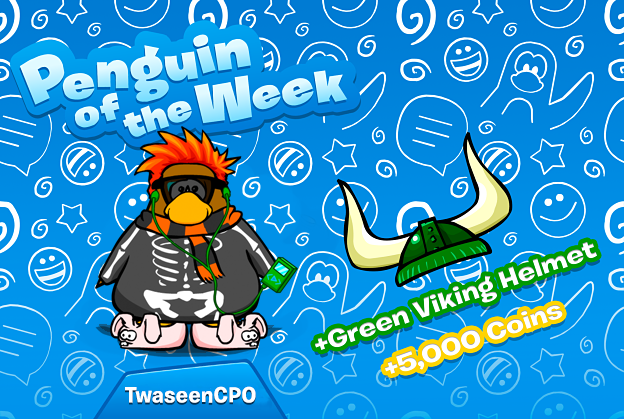 Make sure to check our blog every Saturday to see the next winner of Penguin of The Week. If you wish to get this reward it’ll be useful if you joined our Discord server.